A South Korean real estate investment trust firm sponsored by NH Investment & Securities Co. Ltd. was picked as a preferred buyer of Samsung C&T Corporation’s office building in Seoul late last week, for which the REIT was believed to bid about 740 billion won ($664 million). The auction for the 81,117-square meter property had attracted a number of South Korean asset managers and brokerage firms, along with the Blackstone Group and Temasek-backed Mapletree Investments. It is set to become the most expensive property sale by unit price in South Korea. Most of South Korean bidding groups, including the NH Investment-backed REIT, bid between 30 million and 31 million won per 3.3 square meters, valuing the property at 737 billion to 762 billion won, according to MoneyToday report on June 29. Sources with knowledge of the mater confirmed the report. It was unknown about how much Blackstone and Mapletree put down on the South Korean property, which is one of three office buildings in Samsung Town located on a busy street in Seoul. NH Investment submitted two bids simultaneously in the auction: via KORAMCO REITs Management and Trust Co. Ltd.; and in a consortium led by its parent company NongHyup Financial Group. Now that the NH Investment-sponsored KORAMCO was named as a preferred buyer, the South Korean brokerage firm will inject capital into the REIT to seal the acquisition deal. 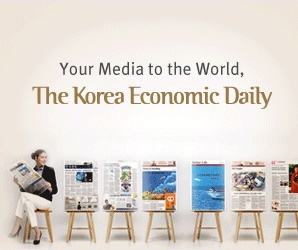 NH Investment’s Chief Executive Young Chae Jeong cited its financing capability and KORAMCO’s management ability as the reasons for winning the auction, despite the narrow difference in bidding prices, according to MoneyToday. KORAMCO is South Korea’s biggest REIT management company. Since Samsung C&T, a trading and construction company, moved its head office to south of Seoul in 2016, Samsung Fire & Marine Insurance Co. Ltd. has leased the building through 2021.